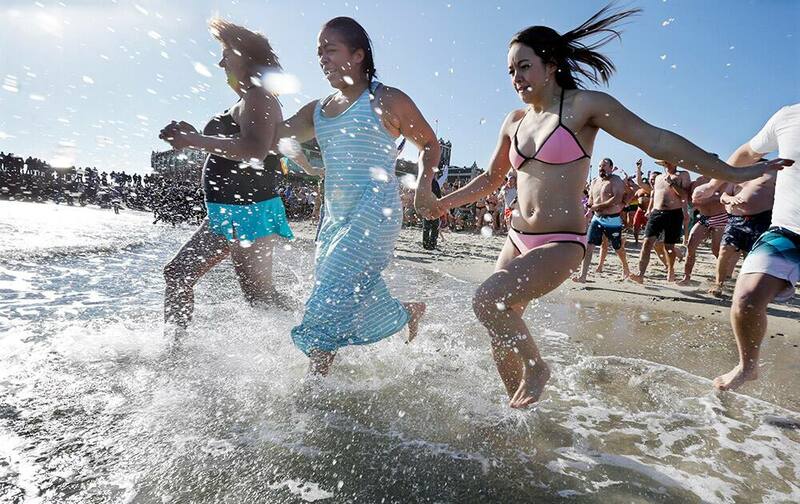 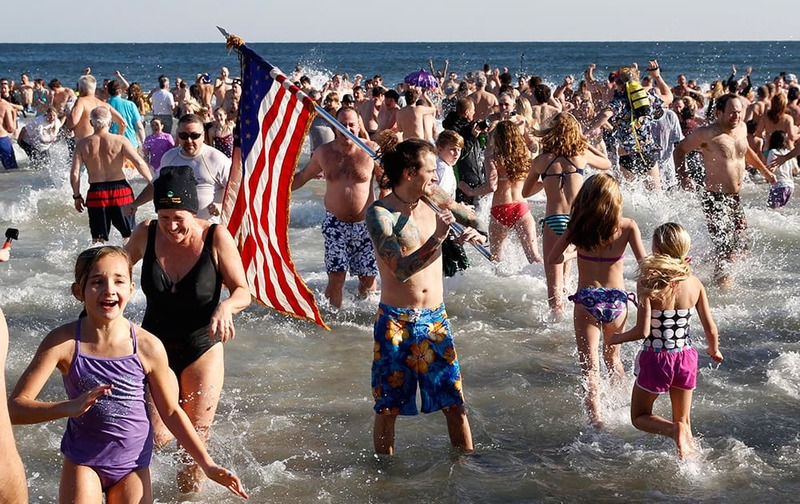 People run in the cold Atlantic Ocean during the Sons of Ireland's annual New Year's Day Polar Bear Plunge on a sunny, but frigid, in Asbury Park. 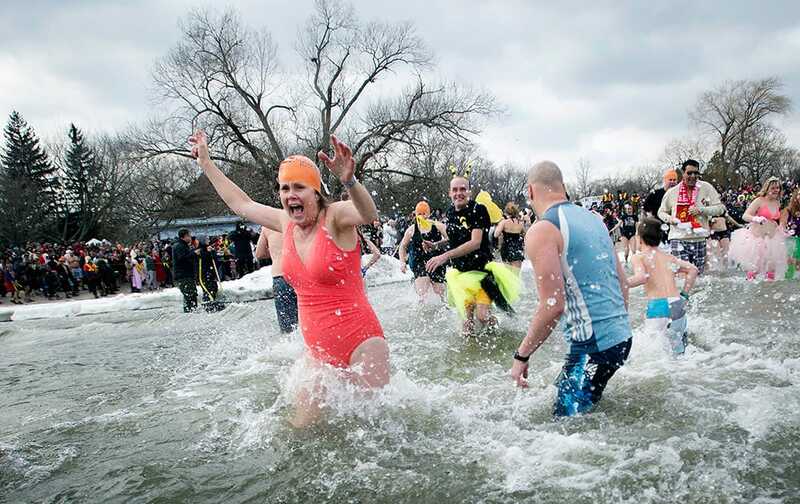 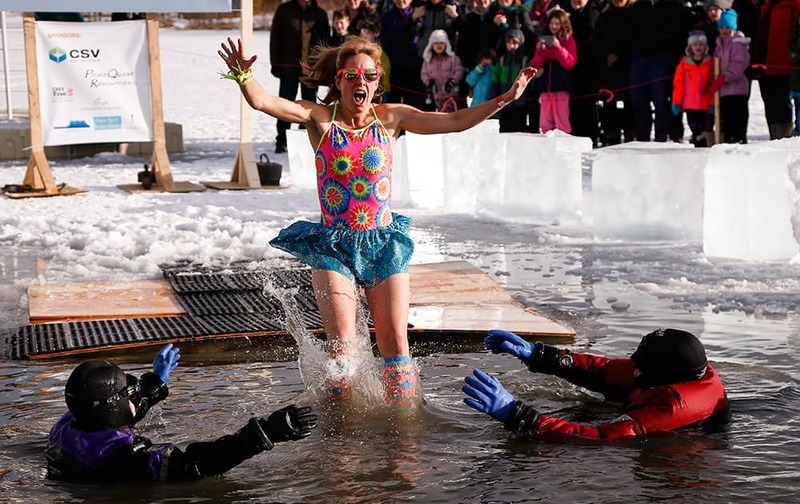 A woman takes part in the 2015 New Year polar bear dip at Britannia Beach in Ottawa, Canada. 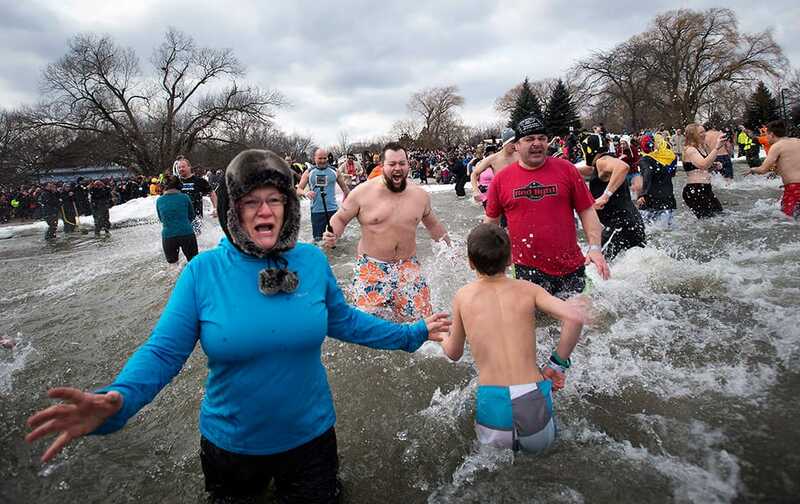 A participant plunges into the water during the annual Polar Bear Dip in Calgary, Alberta. 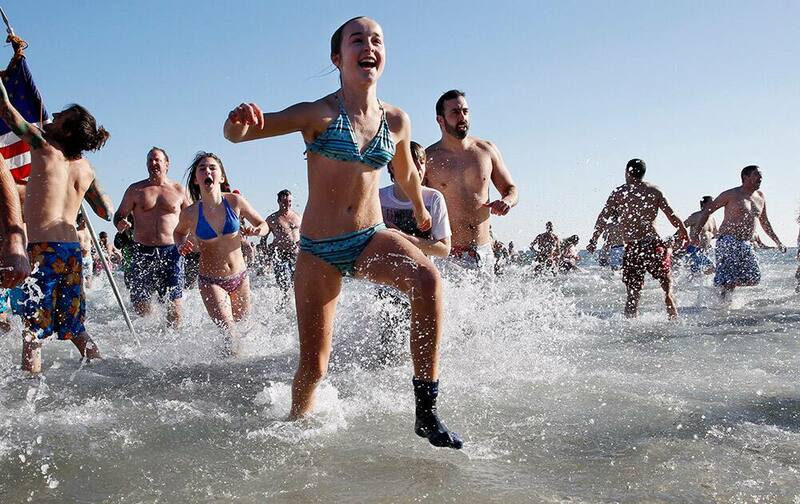 Participants in the Polar Bear Dip run into Lake Ontario in sub-zero temperatures to mark the New Year in Oakville, Ontario, Canada. 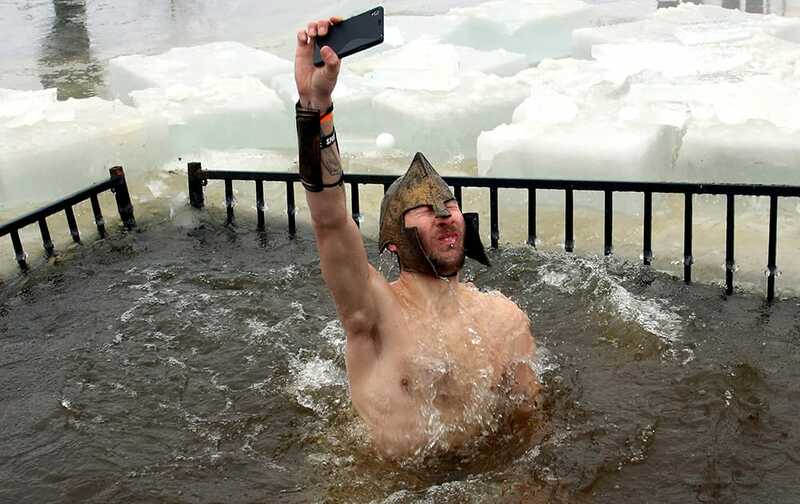 A man take a selfie as he takes part in the 2015 New Year polar bear dip at Britannia Beach in Ottawa, Canada. 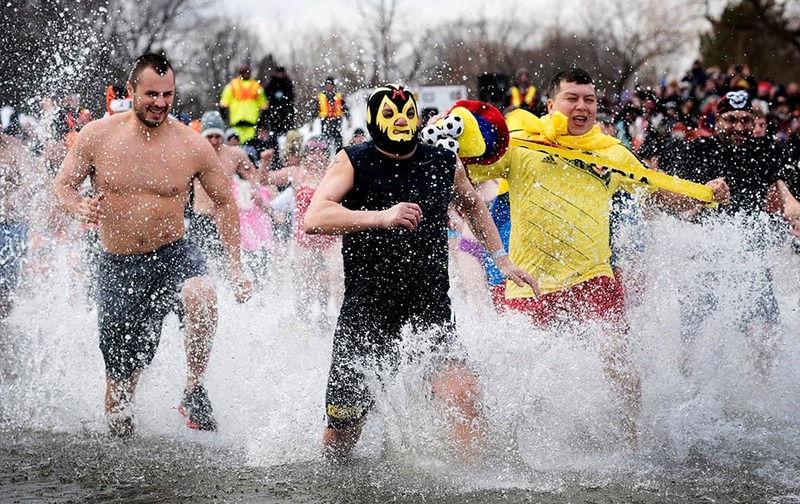 Participants in the Polar Bear Dip run into Lake Ontario in sub-zero temperatures to mark the New Year in Oakville, Ontario.